Deborah graduated in 2000 from the University of Southern California with a Masters of Arts Degree in Occupational Therapy. 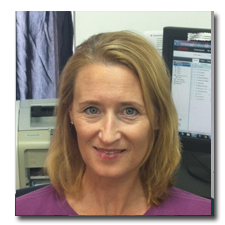 Deborah specializes in pediatric therapy having worked in schools, out-patient clinics, and home-based early intervention. Deborah has participated in occupational therapy research, presented at educational workshops, and promoted OT community programs. Deborah is certified in Integrated Listening Systems, Hand-Writing Without Tears, and CPR. She is a member of the American Occupational Therapy Association and licensed as an Occupational Therapist by the state of Maryland.